Around 5 months back we started this portal to offer best quality service for bloggers who want to migrate from Blogger.com to WordPress (self-hosted). 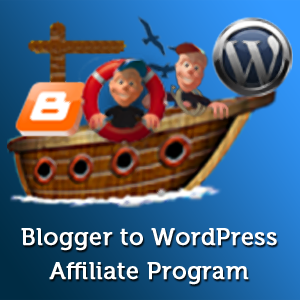 Answering to our old clients and fellow affiliate marketers, today we are happy to introduce “Blogger to WordPress Affiliate Program”. If client you are referring, hires us for both above services, you will get $50 commission. If they hire us for only one service, you will get $25 commission. You can check more details about our affiliate program here. If you are a WordPress consultant/theme designer, you may not prefer to send your clients directly to us. By the way, if you think it’s better to go with WordPress built-in importer and free guides, you may like to know what is so special about our migration service! a client who have doubts about our service, you may like to check pre-sales support forum. By the way, it costs nothing to get a free quote! an affiliate, you can get your questions answered in affiliate support forum. a blogger trying to migrate on-his-own using free tutorials, you may like to use our free technical support forum. Yes, in free time, our team enjoys answering questions related to migration as well as themes/layout design. To use support forum, you need to login with your affiliate/rtBlogs username & password. If you are new here, you can signup for a free account in few seconds.